The tuck box offers a deep dark red design with a gold foil interior, similar to the surprise hidden inside Faberge eggs. The DIAMOND Eggs all have a Nature/Fantasy/Elfish vibe. The CLUBS are inspired by Greek mosaics, colors, and geometric shapes. The Russian Double-Headed Eagle is the focal point for the HEARTS and Back Eggs. They also draw inspiration from Ancient Rome. 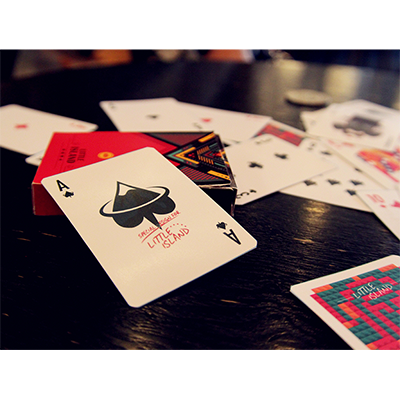 And lastly, the SPADES all have a Baroque/Gothic look and feel. 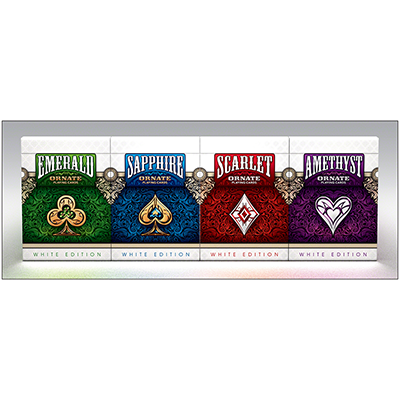 To differentiate the hierarchy of Cards, the JACKS are the "Warrior" Eggs within each suit. The QUEENS are simple, elegant and use light colors. The KINGS are the most decorative and ornate of the Court Eggs. Also, each of the KING Eggs contains a "Crown" at the top. 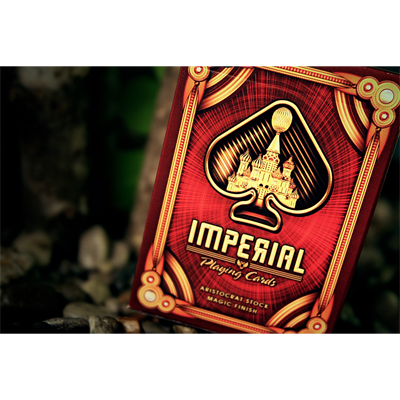 Expertly printed by the US Playing Card Company, the Imperial Deck has top-of-the-line stock and finish for exceptional handling right out of the box.